HABIT: Delicate-looking cool season flowers that come in a variety of colors ranging from reds and purples to pinks and whites. 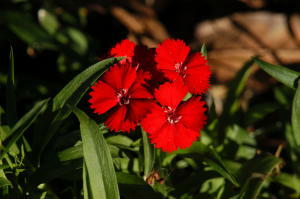 Some are annual, others perennial. 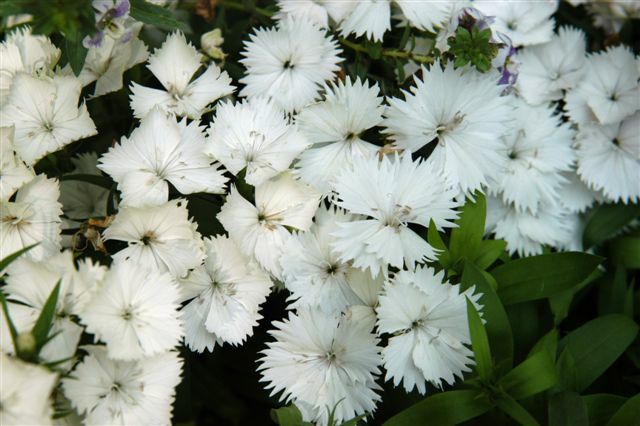 Some varieties will bloom all winter if weather is not severe. A good perennial variety is D. allwoodii. 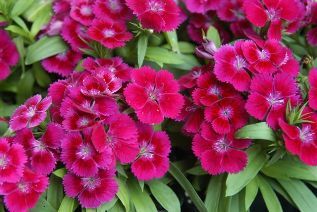 Carnations, pinks, and sweet Williams are all variations of this genus. CULTURE: Prepared and well-drained beds in full sun. Moderate water and fertilizer. Plant in late summer, fall or late winter. PROBLEMS: None serious. New varieties are much more heat and cold tolerant.